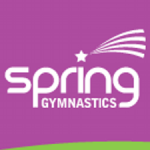 On Wednesday 29th March Alburgh with Denton, Harleston and Pulham Primary Schools attended the Sancroft Church School Trust gymnastics festival at Archbishop Sancroft High School. 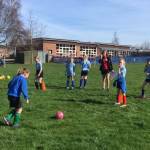 On a lovely sunny afternoon Monday 13th March 2017, the Sancroft Church Schools Trust held a girls football festival at Harleston Primary School. The festival was for girls in year 3 and 4.